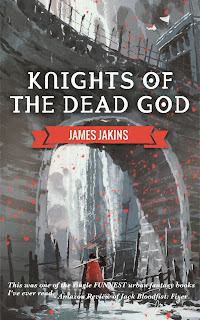 Now that I have finally completed Jack Bloodfist: Freelancer and it's available for pre-order(releasing April 21, 2019) I'm returning to the world of Domhan and the adventures of Mikaia Goretusk and Arthur Shield that I started in Knights of the Dead God. The second book in my Broken Redemption series is titled Gods of the Broken Sea. It's about our two heroes and a new group of allies as they become pirates to sail the titular Broken Sea to meet an Elven sorcerer queen with the hope that she can help them get Mikaia home. 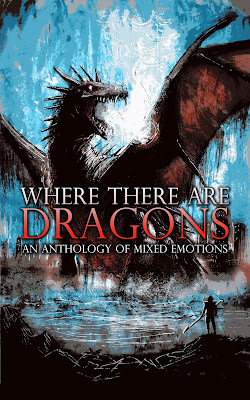 In less than a week my publishing imprint, Robber's Dog Pub, is releasing its first anthology: Where There Are Dragons. It's a collection of twenty stories and poems by nineteen writers, from newcomers to award winners. We're really proud of the line-up, but even more proud of what this book's for. If you haven't heard already, proceeds from every sale will be going to benefit suicide awareness and prevention. My next book is releasing September 30. 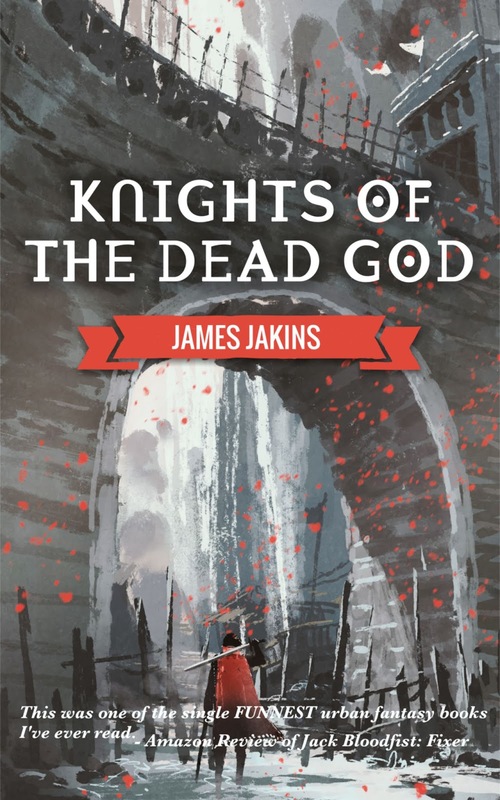 Knights of the Dead God is a spin-off/sort-of sequel to my first novel Jack Bloodfist: Fixer and is available for pre-order right now. 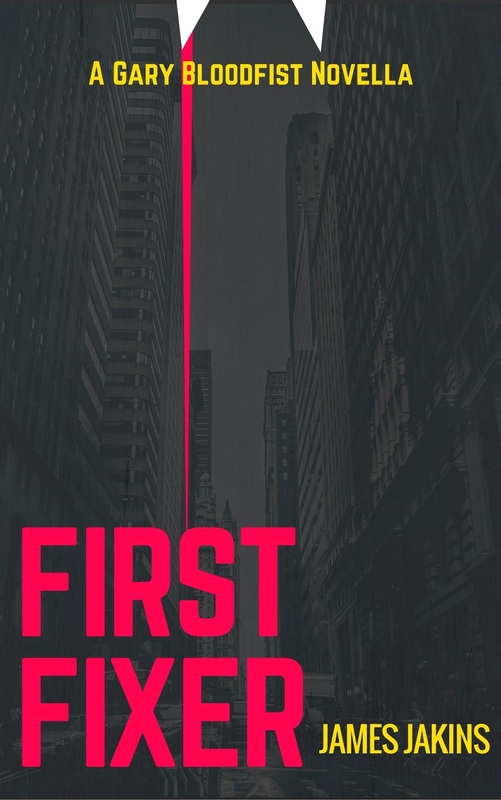 If you've read Fixer you might have a good idea of what to expect, but you might be surprised. I'm really fond of this little book and really hope others enjoy it as much as I do. The half-orc girl, Mikaia Goretusk, has been torn from her home. Her world. Her family. Her only allies are the holy knight, Arthur Shield, once sworn to kill everyone she has ever cared for, and the witch, Hazel Midd. Arthur struggles with the guilt of being unable to save his god. Hazel seeks desperately for something taken from her. They distrust each other but both are compelled to protect the young girl. To return her home they must battle angry mobs, hags, and dark wizards. They will seek the aid of the Knights of Saban. The very god that ordered the extermination of her family. But Saban is dead and not all is as it should be in his temple. The knights have enlisted the use of dark magics to rekindle the fear that was once theirs by right. Mikaia’s road home will be a long one. Will her first step in that journey be the last? Keep reading for a small scene from the first chapter of the book. If you like what you read, maybe consider pre-ordering? Or at least telling a friend about it. Arthur Shield doesn’t draw his sword. Just waits. Waits as the armed intruders charge him, their own weapons ready to kill. The first to reach him swings a spike tipped club, one made by no professional craftsman. By the time the club’s overhead arc reaches its target the old man is not there. He has stepped, gracelessly, aside to allow the weapon free passage through the air. Arthur grabs the back of the man’s head with one hand and drives it forward into his elbow. There is the crack of breaking cartilage and the sudden coppery scent of blood. As the man stumbles from his injury the old warrior twists a hand in the man’s shirt and jerks him to the side. The man stumbles into one of his comrades, the second attacker’s own notched sword being pulled back just in time. The two tangle and, with just a little help from Shield, they are both on the ground. Arthur walks past them, sparing enough energy to casually kick the second man in the throat. The sound of angry cries replaced with rasping, choked breaths. The first man tries to rise, blood from his nose absorbing into the sawdust of the inn floor. He is pushed back to the ground by the body of another of his friends, the woman wailing and grasping at an arm that is bent at an unnatural angle. Shield dodges more attacks, more cheaply made weapons swung by inexperienced arms. He catches a hand holding a rusty dagger and punches into the wielder’s arm. The weapon is dropped. Arthur catches it with his free hand and drives the point into the attacker’s shoulder before sweeping their feet out from under them. He is in the midst of them now. Completely surrounded with seemingly no way to move or dodge. But he finds ways. He is an old man. An old man that has spent a lifetime avoiding death. He ducks and dodges, sidesteps and strafes. He catches arms and throws his opponents into each other. He takes advantage of their confidence and inexperience. As he ducks under a swung staff he scoops a dented pewter mug from a table. The weak foam of heavily watered beer explodes up and out as the mug crumples against the side of a head. He kicks out a foot with just the right pressure and another pained scream joins the chorus as a kneecap breaks. He continues this way. Picking up dinnerware or chairs or disarming. Using his hands and feet he breaks noses and arms and legs. Before very long at all, he stands at the doorway before the elf, Lara, a trail of groaning or crying men and women behind him. Her lips peel back in a snarl and she is on him, using fists and teeth she attacks. With a feral leap she wraps her legs around his torso and begins to swing. He manages to get his arms up but her attacks reopen not-yet-healed wounds and blood again soaks into his clothing. He grimaces and lets out a pained yelp as her teeth dig into the flesh of one hand. He throws his arms and returns her embrace. With a grunt, he squeezes. She gasps at the sudden pressure and loosens her own grip on him. He grabs her sides and pushes. Fabric tears as she grasps his shirtsleeves. Then his forehead finds her nose and her head rocks back. With eyes watering and blood pouring from her destroyed nose she completely loses her grip. “Fine. No talk.” He guides a heavy boot into the side of her head and she stops moving. He studies the blood pouring freely down his arm with a small level of distaste before looking up at the gathered crowd. “Someone, call your village healer. That one, at least, really needs help.” He points to a man, red faced, struggling to breath. First Fixer is officially up for pre-order! The book will be released on July 31st. Garack Bloodfist is an orc. A former bandit, warrior, monster hunter. His name is legend in the country of his birth. You can call him Gary. In the year since they were forced to relocate to Summervale, Virginia Gary has made it his mission to help his extended family of orcs and goblins assimilate into American society. When he learns of a job opportunity with a construction company Gary wastes no time in securing the positions for some of his fellow orcs. But he soon learns that there were only openings because something had happened to the old crew. He finds the cause of the crews disappearance when some of them show up, changed, with eyes that turn red and teeth that are a little too sharp. Gary takes it upon himself to fix the problem, because if he doesn’t who will? He is particularly suited to solving the problem. He does have some experience with stakes and fire after all. First Fixer is a prequel novella to Jack Bloodfist: Fixer, and the first story to star Gary Bloodfist, Summervale’s first orc fixer. I feel like every one of my blog posts lately have been announcements of some kind. Not that I'm complaining. I like announcing things, I just hope you guys don't hate reading them... I'll try to post something that's not an announcement in the near future. 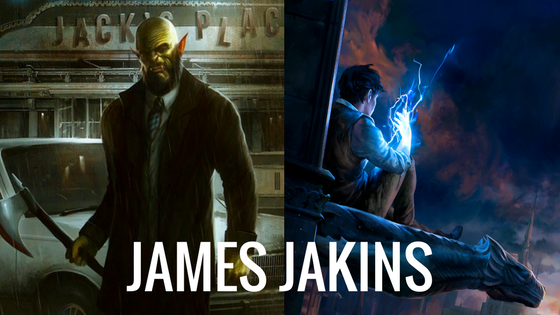 But, if you're interested in reading something that's not me telling you about a new development of some kind, well, maybe check out my Patreon? I've currently got a post for every tier, with a packed schedule of awesomeness. Lore posts, sneak peeks, downloads, all the good stuff. Even polls so you can help determine what I work on next. Starting on June 20th I will be writing full time. There are a lot of things that factored into this decision, but the primary one being this is the only thing I've ever wanted to do with my life and it's about damn time I actually start treating that dream with the respect and time it deserves. Being able to work on my writing full time means I should be able to release more, quicker, while still being able to put in the necessary time to keep, and hopefully raise, the quality of the work. Now, of course, I wouldn't be able to do this if it weren't for the support of the readers. So, those of you that have purchased my books: Thank you. You have no idea how much your support means to me. And I hope I can count on you to continue to support me as I release more writing into the wild.